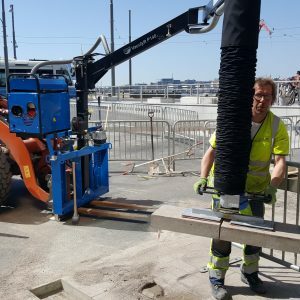 VACULYFT – Handy and flexible machines for laying paving stones. 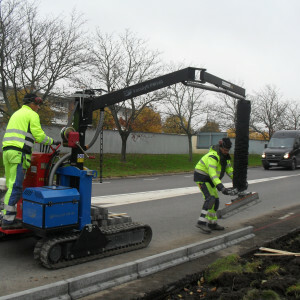 By using laying machines, you can make economic as well as ergonomic gains. 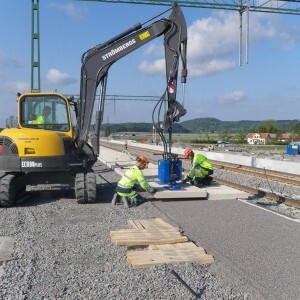 VACULYFT reduces the laying time at the same time as reducing risks for work injuries. 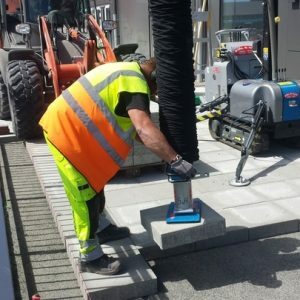 VACULYFT is simple to install and you can change tools with a simple manoeuvre and thereby lift everything from most types of paving stones to slabs, kerbstones, natural stones, covers, sacks etc. The machines are available in several different versions. All with specific characteristics to satisfy user needs. Vaculyft L - Fitted with a tracked chassis for easy moving and setting up, for a wide range of lifting applications. Designed for the majority of forklift truck frames–the material to be lifted is kept handy. Vaculyft PM picks up and carries the material to be lifted, thereby minimizing the need for other machines in the workplace. 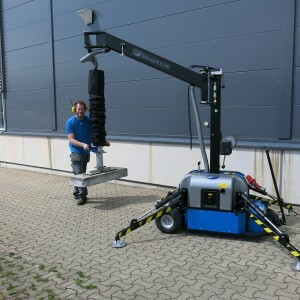 The Stone Magnet, for lifts up to 1500 kg. The Vaculyft SM 1500 is suitable for wheel loaders, mobile cranes, forklifts, and most other kind of lifting machinery. 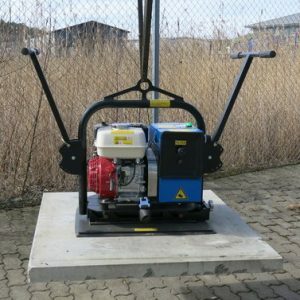 The Stone Magnet, for lifts up to 500 kg. Vaculyft SM 500 is available with an option of hydraulic or petrol powered vacuum pump. The Stone Magnet, for lifts up to 1000 kg. 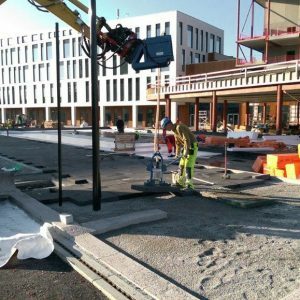 Vaculyft SMS 1000 is made for lifting concrete segments, concrete steps, stone slabs, curb stones, walls etc.